Assam is the gateway to the north eastern part of India. The name "Assam" is derived from the word "Asom" which, in Sanskrit, means unequal or unrivalled. It is known as Assam due to the uneven topography of the land full of hills, plains, rivers and also due to the Mongolian Ahom dynasty which had ruled Assam for more than six hundred years. The ancient name of Assam is Kamarupa which is mentioned in the Ramayana. 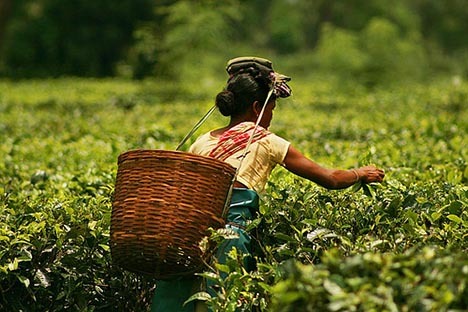 Assam, the mystic, rich and green land of rolling plains, dense forests, eternal blue hills and beautiful rivers is known for its tea, rich flora and fauna, and the world famous one horned rhinoceros. The principal language of Assam is Assamese. The state of Assam is one of the most beautiful regions of India. Some people call it a magical land while others call it a green paradise. The capital of Assam is Dispur. The temperature in Assam is moderate. It is the wettest place in the world with waterfalls six times as high as the famous Niagara Falls. The temperature here can drop from 90 to 50 degrees Celsius in an hour of ascending into the hills.